Selma Blair shared in an emotional Instagram post that she's suffering from MS.
Selma Blair shared in an emotional Instagram post that she's among the 2.3 million people in the world suffering from multiple sclerosis. The actress described her struggles with muscle control and coordination and the compassionate efforts of her wardrobe designer to assist her in completing what should be a simple task of getting dressed. Fortunately, Blair reports that she's surrounded by people who will help and support her through this uncertain and chronic condition. (Chris Pizzello/Invision/AP FILE) Selma Blair arrives at an event in Los Angeles. So, what is multiple sclerosis (MS) and how do you get it? 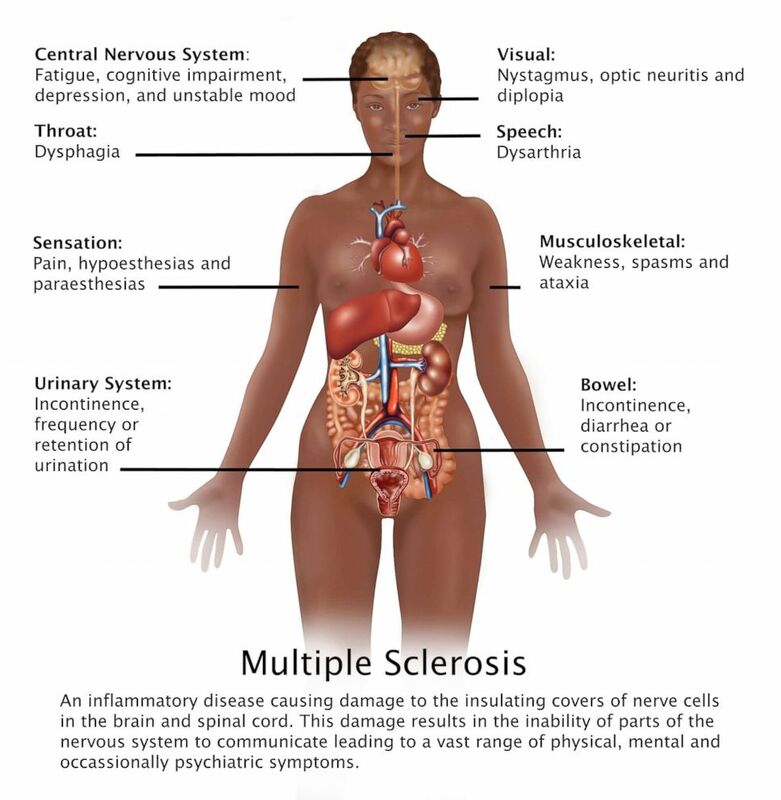 MS is a chronic disorder where cells from the immune system attack the nerve cells of the central nervous system (CNS). There's a special substance called myelin, which covers the nerve cells and allows messages to pass from your brain to the body and vice versa. During a flare, the immune system attacks the myelin, the nerve covering becomes inflamed and communication between the brain and body is disrupted. The inflammation and nerve covering damage cause multiple areas of scarring (sclerosis) within the CNS, which is where the name multiple sclerosis originates. Unfortunately, the cause of MS is not yet known. Scientists believe that it could be caused by an unknown interaction of genetic predisposition and environmental factors. Which part of the body is affected and what are the symptoms? Since the central nervous system is made up of your brain, spinal cord, and specialized eye nerves, multiple sclerosis can affect a variety of body parts including arms, legs, and eyes. The most common problems are vision, balance, and muscle control. Other symptoms include fatigue, numbness and tingling, weakness, dizziness, pain, and emotional changes. (Science Source/Getty Images) Diagram showing the symptoms of multiple sclerosis and their location in the human body. People with multiple sclerosis all have the same type of MS but the course of the illness may vary. It can be broken up into four different courses: clinically isolated syndrome, relapsing and remitting MS, secondary progressive MS, and primary progressive MS. These differ by the onset of illness, the severity of the symptoms, whether or not the disease is progressing during periods of remission, and how likely the person affected will return to their baseline level of functioning. What is the treatment and is there a cure? There's no cure for MS. The specialists who treat MS are called neurologists. A neurologist will most likely use a combination of medications, physical therapy, and psychiatric care to support patients following a diagnosis of MS. The types of medications used are disease-modifying medicines, medicine to manage relapses, and medicine to manage symptoms associated with a flare. Dr. Colette Poole-Boykin is a child psychiatry fellow at Yale-New Haven Hospital and a member of the ABC News Medical Unit.